Momina Mustehsan has done a new ad for Coca-Cola and it is a perfect lesson in everything that a commercial shouldn’t be. Watching the ad was like seeing someone dance awkwardly at a mehndi and refusing to get off the dance floor. You knew that it was a disaster unfolding, yet you couldn’t look away – it was cringe inducing, mind numbing and embarrassing. I was surprised that Coca-Cola would allow such an outdated and uninspiring concept to ever be turned into an ad. The ad centres on Mustehsan walking with a bottle of coke in one hand, and some sheets of music in the other. The wind blows said sheets of paper away and she sets her coke down on what turns out to be a moving platform that a construction worker/billboard installer (Tony Kakkar – without any safety gear in place) is using to be hoisted up. She tries to call out to him, but he can’t hear her because of his headphones (another safety hazard). A traditional music band, standing idly near the scene of action, starts to beat their dhols as soon as Mustehsan is done shouting out. The noise of the drums causes the bottle to teeter, and Mustehsan realises that she could use the power of sound to tip the bottle over from the rising platform — and defying logic and science, she would then be able to catch it and drink it. I could expect a concept like this, with a low budget execution, to come from Waseem Hassan (Of ‘Axcuse me – Aap bhi’ ads), but certainly not from a brand of Coca-Cola’s stature. The storyline was an insult to my intelligence and the execution let me down further. The ad felt contrived, inauthentic and pointless – the sub-par acting did not help either. Her master plan of an idea spreads through the crowd, perhaps through telepathy, and suddenly dozens of people, all miraculously dressed in yellow and red appear out of nowhere and join in the singing and clapping. Mustehsan sings to the bottle, which is about to fall when the construction worker/billboard installer picks up the bottle and takes a giant swig. More nonsense follows (I’ve typed enough already), and eventually a Coca Cola truck appears and everyone gets a drink. Meanwhile, I am inches away from banging my head on the wall. I accept that advertising is about pushing creative boundaries and feeding the imagination, but I do not want to waste my time putting sense into something in the name of creative thinking. There are certain brands whose reputation sets an expectation from them. Coca-Cola is that brand for me. When I see a Coca-Cola ad, I want to see an interesting narrative. I want to see something clever, punchy, entertaining and memorable. I want to feel goose bumps and be inspired. I want to believe that anything is possible. Unfortunately, this ad left me with nothing stimulating. As I always look for something positive in a creative body of work, so for this ad, I think the saving grace could perhaps be the song. Personally, I am not a fan, but I can understand why Coca-Cola selected it as their anthem – it has rhythm, beat and sing-along-ability. Also, having Mustehsan as the main character in the ad guarantees that her fans will follow the ad and appreciate it – a clever choice and one that seems to be working, as evidenced by the enthusiastic comments people are leaving on the Facebook page for Coca-Cola. I absolutely agree with you Mr. Kaleem. the Tvc was below standards of the many great ads seen in the past from coca cola. It was Okay. Was just point less. Seems like they tried to fit the song on coca cola which they poorly failed. @zakir I'm pretty sure its a "Ms Kaleem", and not a "Mr Kaleem". Writing a complete document for an Ad is an inefficient use of writing skills, nevertheless Momina is the only attraction none of us noticed anything else in he add not even Coca Cola. I can't believe that someone has this much time to write a whole editorial on an ad. On top of that, the editor of Dawn allowed it to publish. Pakistanis can't make good ads and that's the truth. 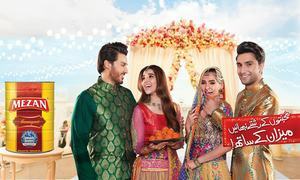 Forget Coca Cola, it is run by a Turkey based organization on franchising terms in Pakistan, but those tops MNCs which actually officially exists over here also make such senseless ads that literally a person really needs to bang his/her head on the wall to shake up the feeling of it. I dont get the big fuss about this woman. Momina is pretty i guess...but so is my neighbour. And my co worker so whats the big deal. I mean am i the first to realize that she is not jaw dropping pretty. And those who say she is need to get out more. Ad is fine. You are over criticizing. Ms. Kaleem, I suggest you read this book called 'Beloved Brands' by Graham Robertson to understand the art of brand building. You are definitely not the target audience for Coke in Pakistan. My 2 cents. Keep writing such nonsense reviews! Enjoy them. Man, pepsi must have paid you well for this! I just watched the ad. Not great, but not quite as terrible as the writer suggests. Actually I liked the dry humour at the end when the workman points out there's a Coca Cola truck pulling up just behind her. This ad has to be a lot worse for it to compete with Kendall Jenner's Pepsi shoot! That is how usually the Ads are. May be one should write an article on your use of sentence "The storyline was an insult to my intelligence". Grow up dear kid!! And you actually get paid for writing this stuff? Sheesh. Next Cola Ad was more entertaining ! People who should have been limited to writing blogs that nobody ready are now writing critique - which are verbose, insulting and lack substance. The words carry shock value and distract from the message of the article which I think was already unnecessary. Wow. Some pretty strong views there. I rather enjoyed the ad. Because it made me smile. And reminded me of a time when Coke’s brand “slogan” was indeed: have a Coke and a smile. I guess I missed all the aspects that deserved the reviewers’ very well reasoned criticisms. Your opinion counts we understand but seriously? You wrote so much on a half bad commercial featuring a pretty face? Why the need to critique everything out there ? Food for thought ? Hahaha I'm glad someone got their bearings right. Whenever I watch the ad the out come is that I feel happy, so no issue, ad is good. Very harsh. I liked the cheesy add. Holistically, the add is not so bad as portrayed invectively by a creative thinker because of its rejuvenated music theme with a fascinated celebrity. I agree to you Sheherzad. I didn't find this ad as great as Coca Cola used to make previously. I must say this isn't class of Coca Cola's ad. "....and defying logic and science, she would then be able to catch it and drink it." Hilarious! This is an outrageous add. If they get free cola so should we. SO SHOULD WEEE. @AAM completely agree with you. 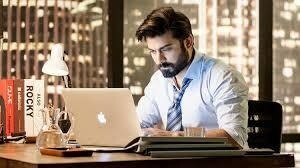 There's no doubt that Pakistani industry cannot execute any kind off commercial in a creative and innovate way. Period. Even the Lux ads are particularly the each time a new soap is introduced to the market. To be fair and honest, I prefer the low budget ads like Kit Kat talcum powder. they have a set target customer, a certain mindset, be it cheap or flippant, they are spot on and successful. This ad here has a few problems. First, no focus, if she was going to sing, then its fine, but why all the drama of losing her papers, and then not running after them. Then comes the singing with auto tune (tobah). Lastly, the poor bleaching of colors in post production. The men in Red and yellow reminded me of the cigarette ad for Gold Leaf (I think) that was way better. Pakistani ads are not getting better. I will leave the rest to Comics by Arsalan to destroy this piece with his funny criticism. Brand team needs to understand that its not happening every time like making "well known faces" do anything (so lame moves) no matter how irrelevant, hazardous that going to be for the brand. I have wasted my 5 minutes reading this article. @Faiza mirza Exactly.. I dont know what people see in her.. I mean if she ever asks me out, i ll definitely refuse her..
Why are we discussing advertisements, we are doing what these ads intend to.